What Is Energy Healing? What's A Session Like? First, what do I mean by the “energy” in energy healing? I’m obviously not talking about the kind of energy that runs your car or heats your house, and I mean something broader and deeper than just physical vitality. When I talk about energy, I mean life force, or even more generally, “being force.” You might have heard it called prana, chi, ki, qi, spirit or bio-energy. It’s the basis and animating force for our world and everything in it. It’s where our consciousness, aliveness and very being come from. As science asserts, everything is energy. And though it can be invisible, like the air you breathe, it’s just as real. In addition to the universal energy that surrounds us, each of us has an individual energy field. Influencing the individual energy field in a purposeful, positive way is called energy healing. Energy healers usually work to restore balance, remove blocks, support flow, and bring forth helpful information, among other things. If you were to see an energy healing in process, it might look like someone slowly moving their hands through the air a few inches to a few feet away from their client’s body. The healer might pause now and then over certain areas, or perhaps sometimes make small gestures with their hands. Some energy healers also work with their hands on the physical body. I combine these approaches, treating the physical body as an integral part of the energy field. Energy work is a holistic form of therapy. When we positively influence a person’s energy, we influence the totality of their being. Results may show up on any level: in the energy field, the physical body, the emotions, the mind, behavioral changes, or events and situations in an individual’s life. Energy work does not operate on a medical model of curing “what’s wrong.” As I practice it, it is intended as a spiritual process. Nevertheless, it often has a clear impact on physical, emotional and mental well-being. People often find that energy healing restores balance to the physical body, reducing or relieving pain and speeding recovery from illness and injury. Recipients often have insights into challenges in their lives, helping them resolve problems more easily, or shift their relationship to problems into something more constructive. They often feel more peace and harmony and renewed vitality and interest in life. Perhaps most profoundly, energy work can open doorways to accelerated spiritual and personal growth, helping people experience transformative new paradigms of themselves and the world. People may see the benefits of a session immediately, or they may happen more slowly, over a period of time. There are many more potential benefits. Find out more about the benefits of energy healing here. Energy work is a complementary therapy and does not replace conventional medical or psychological treatment. If you have medical or psychological problems or concerns, you should seek and follow the advice of a qualified medical or psychological practitioner. 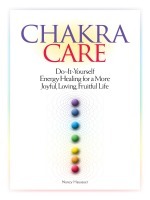 Want to learn more about energy healing?